The Capsule Collection by Brian Patrick Flynn. 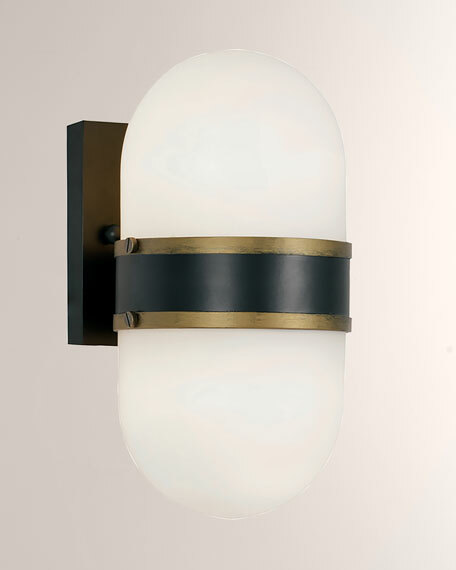 Two-light matte black and textured gold outdoor wall mount. Weight, 6 lbs. Boxed weight, approximately 9 lbs.